February 22 was a black Friday wherever you were in Europe. 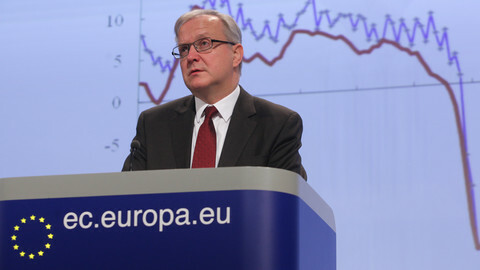 The morning brought the publication of dismal economic data to the effect that the eurozone will remain in recession in 2013. Then, at 10pm Brussels time as the the markets closed, ratings agency Moody's quietly issued a statement stripping the UK of its AAA credit rating. For those lulled into a false sense of security through a recent combination of relatively benign financial markets and the euro strengthening against sterling and the yen, it was a rude awakening. Reading the European Commission's Winter Forecast is a singularly dispiriting experience. 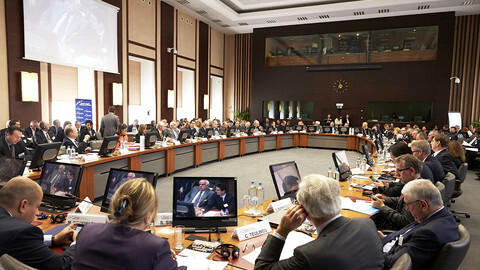 The bald figures are that the eurozone is expected to remain in recession with a 0.3 percent contraction in 2013. The words "sluggish … weak … vulnerable … modest … fragile'" litter the 140 pages of charts and analysis. 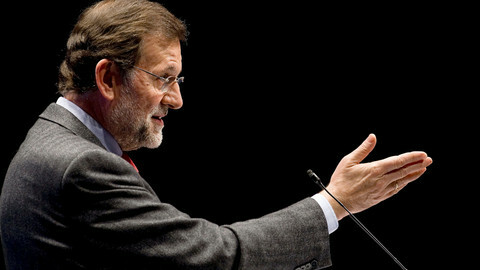 Spain's budget deficit has cleared 10 percent. The average eurozone country now has a debt to GDP ratio of 95 percent - a figure that observers had previously thought was applicable only to Italy and Greece. There is little to cheer the critics of austerity. The scope for Keynesian supply-side measures to increase demand is now even more limited. With the average debt burden now standing so high, there simply is not enough money around for a stimulus package. That said, the nature and magnitude of the problems facing the eurozone are changing. While the Greek economy will contract by a further 4.4 percent this year - by the end of 2013 Greek economic output will have fallen by more than a quarter in five years - the clear indication from the Winter Forecast is that Athens is no longer in the eye of the storm. Paris and Madrid now have that unwanted place. 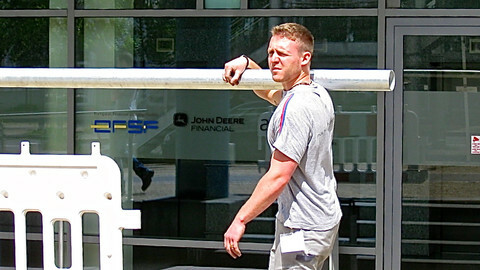 France was one of a handful of countries called out for censure by commissioner Rehn on Friday. The French budget deficit remains stubbornly high, falling by a mere 0.6 percent to 4.6 percent in 2012. The commission's projections have it remaining above the 3 percent threshold in 2013 and 2014. 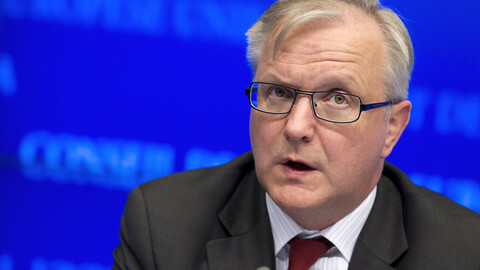 Ominously, Rehn told reporters that the commission would prepare a full report on France's public spending after Paris prepares its next budget plan, adding that President Francois Hollande's government needs to "pursue structural reforms alongside a consolidation programme." Some of the figures that leap off the pages of the Spanish assessment are truly alarming. Spain's budget deficit actually increased to 10.2 percent in 2012, although the data does not include the savings from spending cuts and tax rises at national and regional level in the final weeks of the year, estimated to be worth 3.2 percent. Even then, the country will still have averaged a 10 percent deficit over the last four years. By the end of 2014, its debt pile will have nearly doubled to 101 percent of GDP over the space of five years. Meanwhile, over one in every four Spaniards is out of work. Mass unemployment here to stay? But there are still crumbs of comfort or straws to clutch at. Most government books are closer to being balanced. Budget deficits will shrink below the 3 percent limit in the Stability and Growth Pact, while the commission estimates that the eurozone will run a current account surplus of over 2 percent in 2014. The commission also expects Spain to run a current account surplus in 2013. Greece, too, is expected to run a surplus in either 2013 or 2014. The South Mediterranean patient is undoubtedly getting leaner, and this certainly augurs well for Europe's competitiveness in the future. However, while the eurozone appears to be moving away from a crisis fuelled by deficit and debt, mass unemployment seems to be here to stay. The headline rate of 11.7 percent unemployment across the eurozone is bad enough, but it is the sharp rise in long-term joblessness that is most concerning. 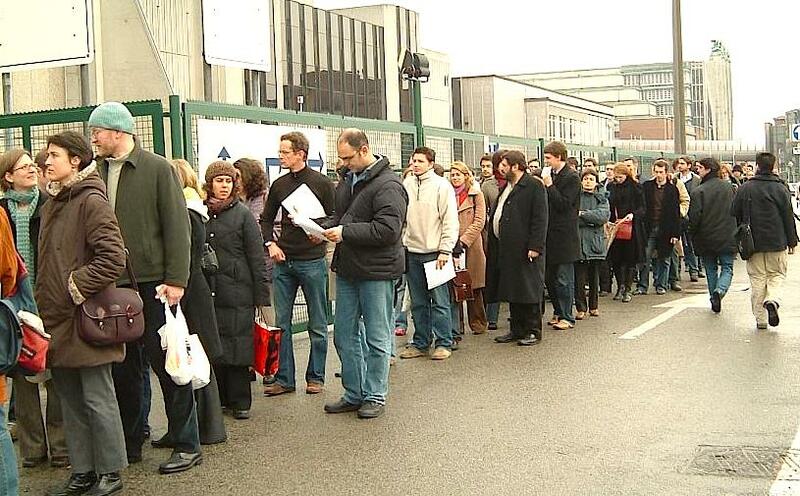 Forty five percent of the EU's unemployed have been out of work for more than a year, and in eight countries this figure rises to over one in two. In Spain, Greece and Portugal, where the unemployment rate is above 15 percent and youth unemployment sits close to one in two, millions of Europeans risk being locked out of the labour market for good. In the foreword to the Winter Forecast, Marco Buti, head of the commission's economics department, rightly acknowledges the "grave social consequences" resulting from the unemployment crisis. But it is more dangerous than that. As the commission paper concedes "long-term unemployment is associated with lower employability of job seekers and a lower sensitivity of the labour market to economic upturns." The longer people are out of work, the more likely it is that high unemployment rates become a structural feature of the European economy. Where then does Europe go from here? It seems inevitable that the commission will relax its enforcement of the deficit targets under the economic governance "six pack." Most governments are clearly taking steps to cut spending and the consolidation efforts are being delayed by the recession rather than a refusal to comply with the new rules. Spain, Portugal and others besides will probably be given more time to reach the 3 percent deficit target. The commission and member states could also front-load infrastructure projects to be funded by the 2014-2020 budget framework and make greater use of the European Investment Bank. We can expect action on a pan-EU youth guarantee scheme, although it will need more than a commission communication and a few billion euros to solve Europe's youth unemployment crisis. Like gamblers who are too deep in the hole to resist yet another bet, most governments, with the support of the commission, will make the patient swallow more of the foul-tasting medicine of austerity. But it is hard to avoid the central message that over two years of fiscal consolidation measures have had, at best, a negligible impact across most European countries. By focusing solely on spending cuts and allowing unemployment to reach unprecedented levels, Europe's leaders may have helped turn a recession into a prolonged depression. 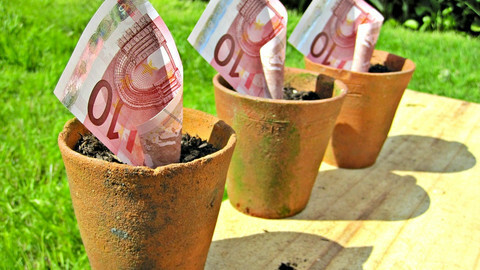 The eurozone appears to be edging towards economic recovery, according to data published Wednesday. A clutch of academics, policy-makers and politicians gathered in Brussels Wednesday for a glum and angst-ridden debate on the state of the European Union.